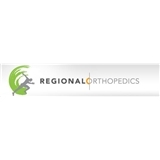 Regional Orthopedics (New York) - Book Appointment Online! Orthopedic Surgeon specializing in joint replacement, sports medicine and musculoskeletal trauma. Physical Therapy and Rehabilitation offered at Peak Performance.